The Lamplights won awards in three different categories at the 2011 Australian Songwriting Contest, a feat no other songwriter has achieved in the 31 year history of the awards. With a genuine joy in writing and sharing music, The Lamplights deliver songs that have a positive impact on everyone who hears them. The band pride themselves on leaving their audiences feeling positive, inspired and empowered. Lead by charismatic front man, Ryan Gittoes, The Lamplights play music with talent, integrity and the best of intentions. With tangible chemistry and world-class musicianship, Jason McGregor (current Australian Fingerpicking Guitar Champion), Ashley Perrow (guitar, slide guitar), Mattie Barker (bass, harmonica) and Mik Easterman (drums) lift the hearts and hopes of everyone who hears them. 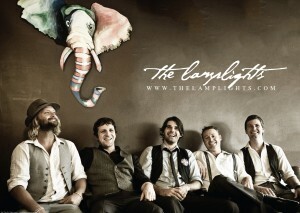 The Lamplights write great songs and every performance is delivered with honesty, integrity and heart. They’re not a band who just go through the motions of performance they ride the crests and troughs of the songs along with their audiences and their live shows are a true ‘shared’ experience between the band and their fans. The Lamplights have laid their foundations on the belief that quality songs lead to quality performances and their strong work ethic is rapidly earning them a reputation as one of the must-see live shows in the country. 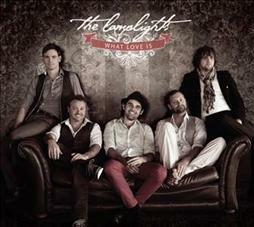 The Lamplights received repeated airplay across Australia on ABC Radio, their music has also been added to the playlists of some major department stores throughout the country. Their diverse influences and universal appeal has resulted in the band being heard on radio stations in New Zealand, Italy, France, Germany, The Netherlands, Norway, Sweden, England, Ireland, Spain, Portugal, and as far away as Macedonia and Belgium. Album tracks have received airplay on radio stations in Australia, New Zealand, Ireland, England, France, Spain Portugal, Italy, Germany, Sweden, Switzerland, Norway and The Netherlands. The Lamplights are also on the playlist of numerous online radio stations.